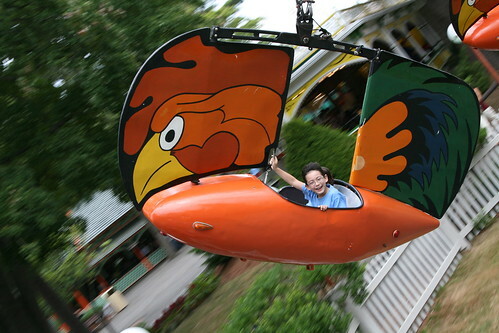 The Rowdy Roosters ride at Canobie Lake Park in Salem, NH. The smile aboard that Rowdy Rooster is great! Woohoo - that looks like a fun ride! What a great shot. 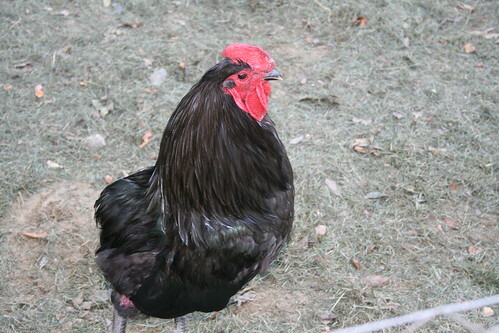 I love the first rooster! I want some like that (or can you have only one?) But the 2nd rooster, well, the screaming would be pretty awful!